Although a vegetarian diet can be healthful, it does present some challenges. Limiting intake of dairy, meat, and eggs may cause the diet to be too low in important nutrients, including iron. Vegetarians are at high risk for iron deficiency because many iron sources are animal products. In addition, the iron found in plant- based foods (aka non-heme iron) is not absorbed as well as iron found in animal foods (heme iron). 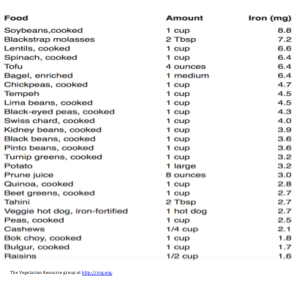 Since vegetarian diets tend high in non-heme iron, they should be aware of foods that are high in iron and techniques that can promote iron absorption. Good news! There are plenty of nutritious alternatives of iron for vegetarians. 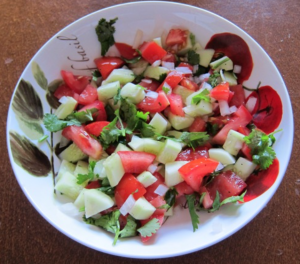 The key to avoiding iron deficiency while following a vegetarian is balance and variety. With proper planning, a following this meal pattern can be healthful, nutritious, and beneficial too. Why Should I Care About Iron? Iron helps our cells deliver oxygen from the air we breathe into our lungs to all parts of the body. Iron is also important in energy product by playing a role as a cofactor. Other functions of iron include its role in growth and wound healing, production of neurotransmitters, and immune function. What Happens If I Do Not Consume Enough Iron? Under normal conditions, our bodies store iron for later use. With low iron intake, the body will start using up these stores. This is called “iron deficient.” Over time, iron deficiency will progress through three stages. Stage 1 (Iron depletion): Iron stores in the body are low; Generally no physical symptoms. However, low iron limits the available oxygen for protein and enzymes and may reduce energy levels during demanding activities. Stage 2 (Iron deficiency): Decrease amount of iron available for oxygen transport; symptoms may include low energy capacity. Stage 3 (Iron deficiency anemia): Production of normal, healthy cells has decreased; cell size decreases; cells unable to bind oxygen and transport to areas in the body. It’s important to note that iron deficiency stage 1 and 2 may not always lead to physical symptoms. You may feel fine and be unaware you are deficient. However, over time, continued low iron intake may lead to Stage 3: Iron Deficiency Anemia. By this time, the body does not have enough iron to make the cells needed to delivery oxygen to the rest of the body. Symptoms of Iron Deficiency Anemia: oxygen and energy deprivation, fatigue, pale skin, depressed immune function, and impaired cognitive and nerve function, work performance, and memory. Pregnant women with severe anemia are at higher risk for low-birth-weight infant, premature delivery, and increased infant mortality. So How Can I Make Sure I Get Enough Iron? The Recommended Daily Allowance (RDA) for Men aged 19 years and older and women 51 and older is 8 mg/day; The RDA for women 19 to 50 years old is 18 mg/day. Younger women need more iron than men and post-menopausal women because they lose iron and blood during monthly menstruation. The RDA for pregnant women is 27 mg/day. Even though these are the establish RDAs, eating a vegetarian diet is a special circumstance that affects iron status by reducing or eliminating sources of heme iron, therefore it may increase your requirements. As mentioned earlier, there are plenty of nutritious alternatives of iron for vegetarians. The key to avoiding iron deficiency while following a vegetarian is balance and variety of food containing substantial amount of iron. Also, remember that iron in plants (non-heme iron), is not as readily absorbed as iron in animals (heme-iron). One way you can increase absorption of plant-based iron is by eating those foods with vitamin-C rich foods. Eat a balanced and varied diet of grains, legumes, nuts, seeds, fruits, and vegetables. Spread iron foods throughout the day. The body does not absorb 100% of the nutrients in one sitting. Spreading iron containing foods throughout the day will increase overall absorption. Avoid red wine, coffee, or tea when consuming iron-rich foods as chemicals found in these beverages reduce iron absorption in the body. Cook in a cast-iron skillet. The iron in the pan will be absorbed into the food while cooking. Buy iron-fortified breads and cereals. Check the label. If you are currently thinking of adopting a vegetarian diet or already following one, my key advice would be to seek out a variety of professional and reputable resources. 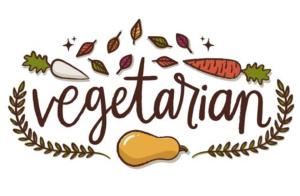 Make sure to talk to a registered dietitian if you have any questions regarding vegetarianism diet to determine if it is the best thing for you.